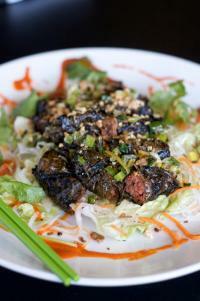 Our visit to Pho Viet Huong marked our group’s third anniversary. It also was our first without original member, Charlie. We were now down to five and needed to decide whether to bring in a sixth again and if so, who might be a good fit for us. It had to be someone with the advanced qualifications of being able to eat huge quantities without shame and with no dietary restrictions or taboos. Also someone who might just display their own foibles while blending within the particular eccentricities of a few of our current members, myself included. It would be awhile before we found that person. Eugene was becoming suspicious. 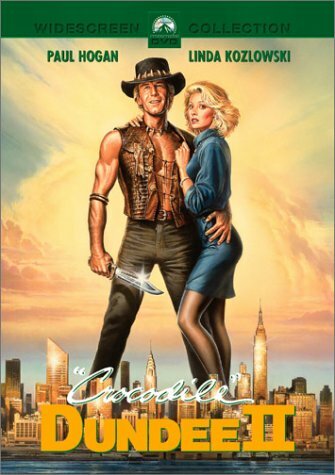 Because we could not meet last month, he was beginning to believe that we were purposely delaying his well-researched pick of Pho Viet Huong on Mulberry Street in Chinatown; that the man who regaled us with tales of his “Crocodile Dundee (I & II)” viewings was somehow being slighted in our strict order of things. Nothing could be further from the truth. Eugene conveniently forgot that it was he who steered us to one of our greatest finds to date: Tandoori Hut; albeit the same man who made us trudge out to Brighton Beach for Café Glechick and the still talked about fermented raisin “soft” drink, kavas. After a two-month layoff for reasons beyond everyone’s control, we were more than ready to resume, minus Charlie who declared he would be on at least a six-month sabbatical while he sampled the culinary goodies around his new residence of Emmaus, PA, if there was such a thing. 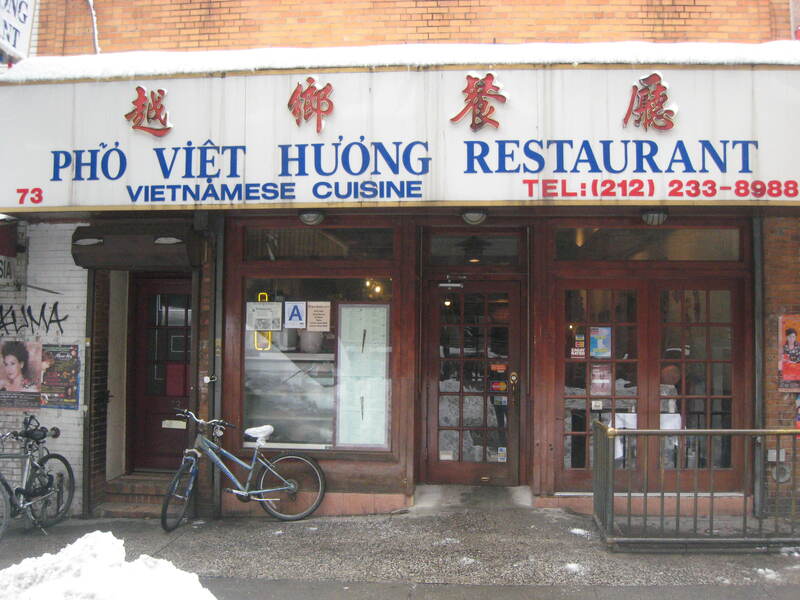 But instead of gambling on a Queens or Brooklyn destination, Eugene played it safe with his Vietnamese Chinatown pick. And when, after Zio and I arrived in the restaurant and declared that we had previously eaten at Pho Viet Huong, recognizing it not by its name but by its location and decor, I could tell he immediately regretted not choosing the Tibetan place he had earlier hinted at. I certainly wasn’t complaining that we were in Chinatown. The weather was typically miserable, as it often seems to be when we convene. 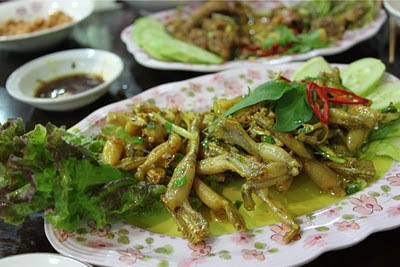 An easy, safe destination was fine with me and Zio, though he had already dined at Pho Viet Huong, never had the opportunity to sample the frogs’ legs. He wasn’t going miss out this time. Our very eager waiter was ready to get going. The menu was vast and needed intense studying. To make things somewhat manageable, we first concentrated on appetizers including the odd pairing of barbecue beef wrapped in grape leaves, something called grilled pork hash, and a Vietnamese crepe stuffed with shrimp and pork. I was suffering from a serious head cold and knowing how proficient the Vietnamese are with their soups, thought we should order one large soup to share. The waiter, for some reason, most likely a language barrier, seemed reluctant to admit that the $9 soup could be shared by all. A few minutes later, however, he returned happily with the huge bowl and five separate small bowls. The soup was hot and sour shrimp and it had enough fire to begin to open up my clamped sinuses. All the appetizers were exemplary, the barbecue beef wrapped in grape leaves nothing like what you would experience in a middle-eastern or Mediterranean restaurant. We now had the time to concentrate on entrees and Zio wasted little time requesting the frogs’ legs with curry in a casserole. Rick ordered the whole fish that, when it arrived, had been fried to oblivion and covered in a lemon grass sauce, that I could not really taste that was no fault of the restaurant’s but due to my taste buds being severely compromised by my head cold. I could, however, surmise that Zio’s frog’s legs were so tough they were pretty much inedible, that Gerry’s pork with black pepper in a brown sauce was too similar to the generic “brown sauce” I’ve experienced in numerous Chinese restaurants, and that Eugene’s curry shrimp over rice vermicelli, simple though it appeared and inexpensive at only $5 had the most flavor and, in my head-clogged condition was the best of our selected entrees. Though not on the spectacular level of our previous outing, Malaysian Rasa Sayang, Pho Viet Huong, as long as you can pare through the extensive menu, concentrate more on the soups and appetizers, and ignore the temptation for the overly-exotic like frogs’ legs—something we, and Zio especially, have a tough time doing, was an admirable selection by Eugene. Pho Viet Huong lives on and from what I can tell, has prospered. They’ve even received an “A” from the New York City Department of Health, which they display proudly and prominently in the restaurant’s front window. Isn’t it more daring to eat at a place rated below an “A”? In 2005, there were no ratings. But with the exception of Zio’s tough frog legs, we weren’t very daring…even for 2005.